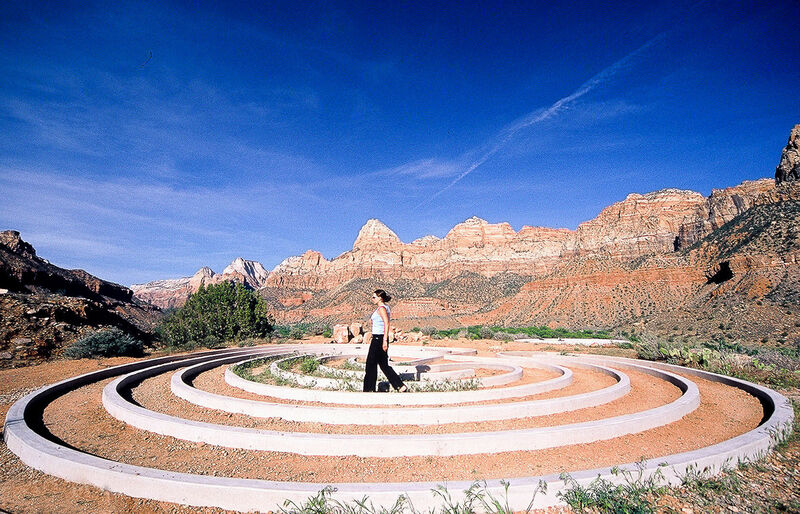 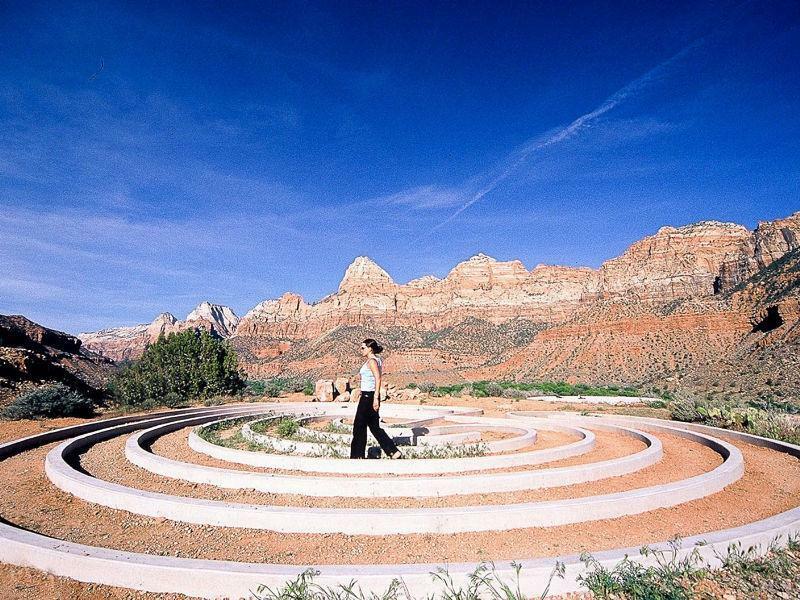 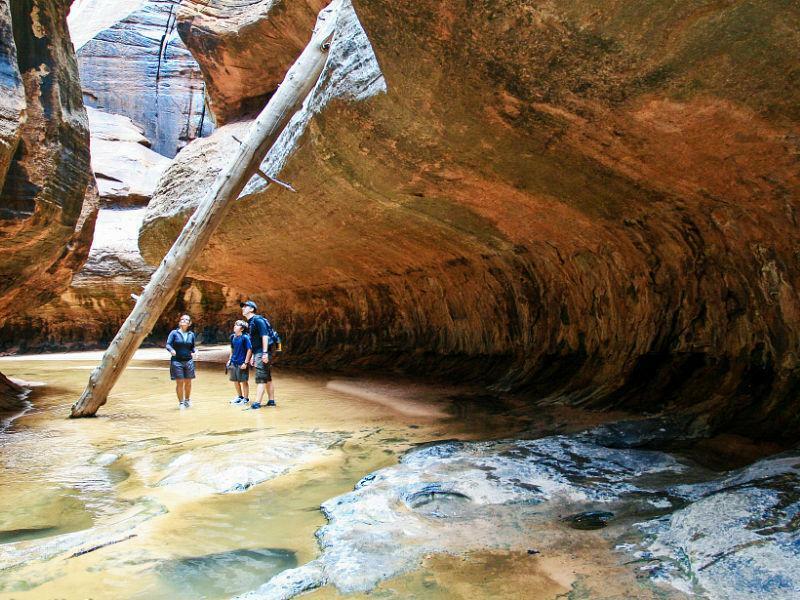 Utah's oldest national park is also its most accessible, being close to St. George and Las Vegas. 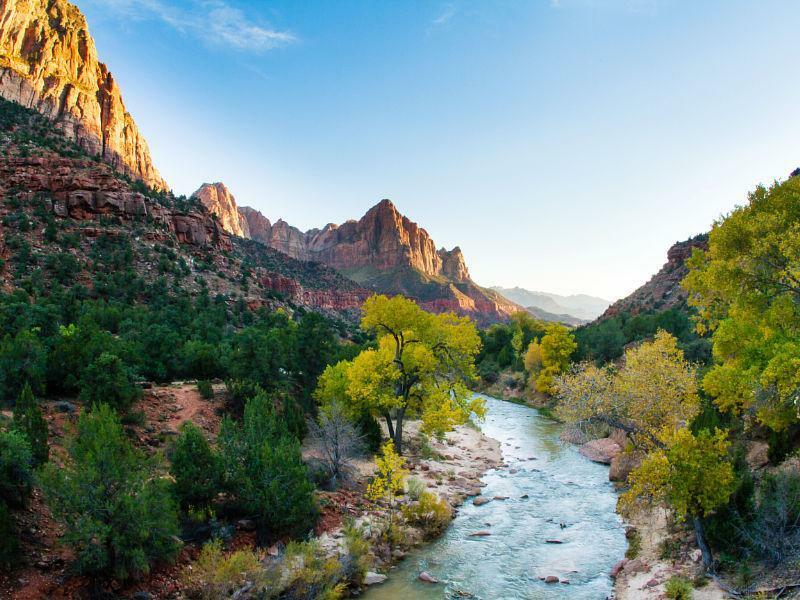 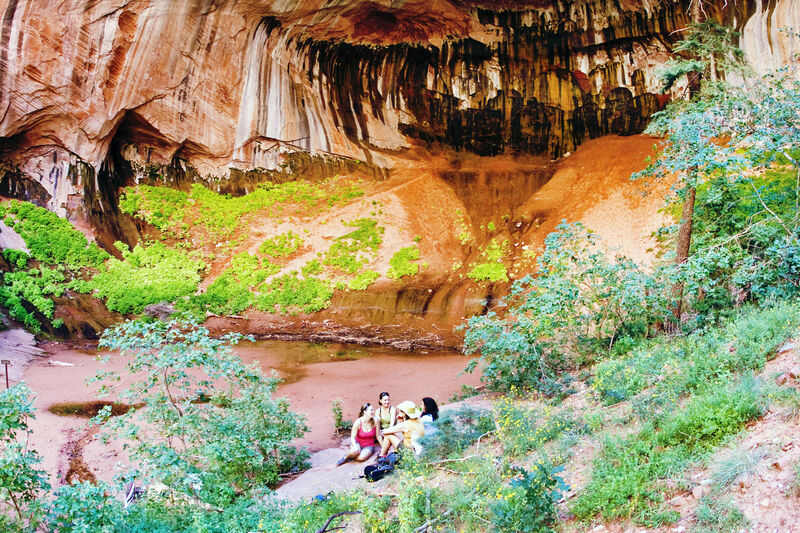 Separated into two parts, the main Zion Canyon sees the lion's share of the park's 2.5 million annual visitors, while the far less visited but no less breathtaking Kolob Canyons area receives a more modest amount. 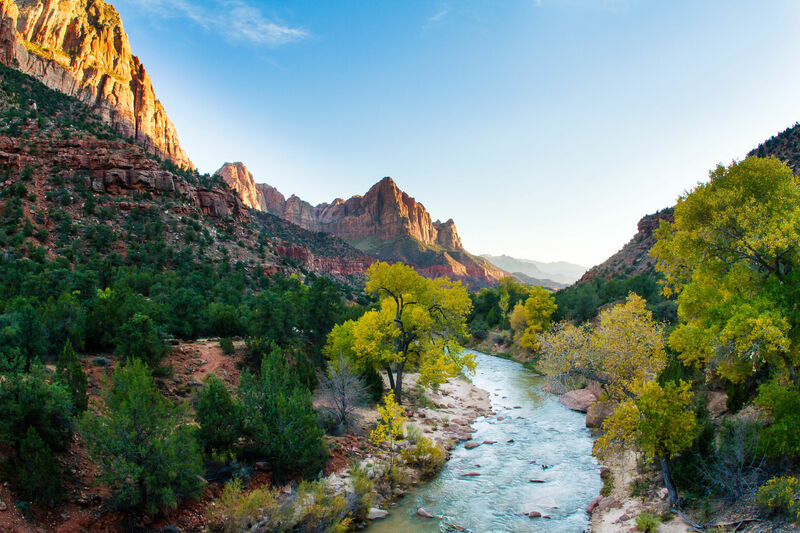 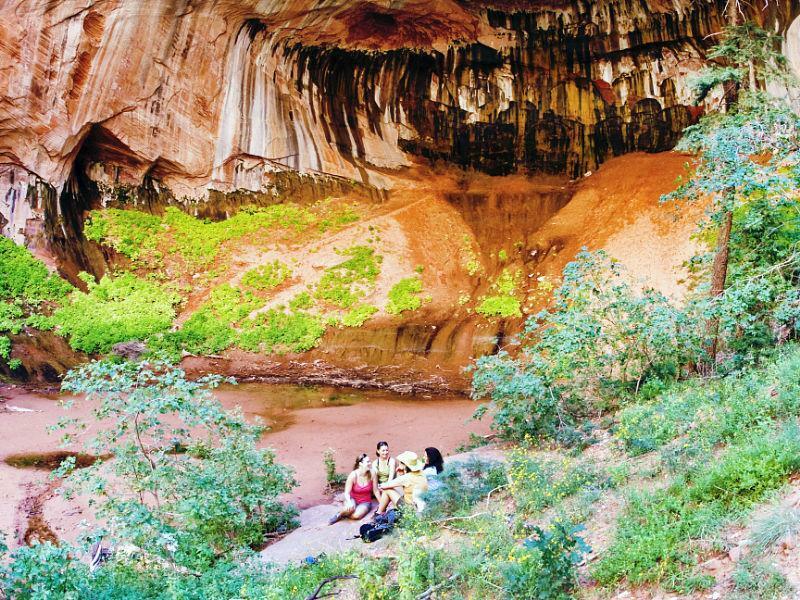 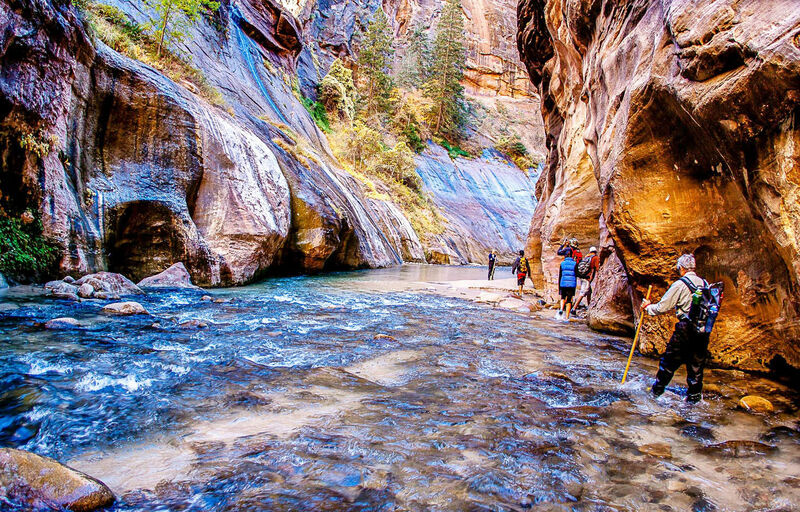 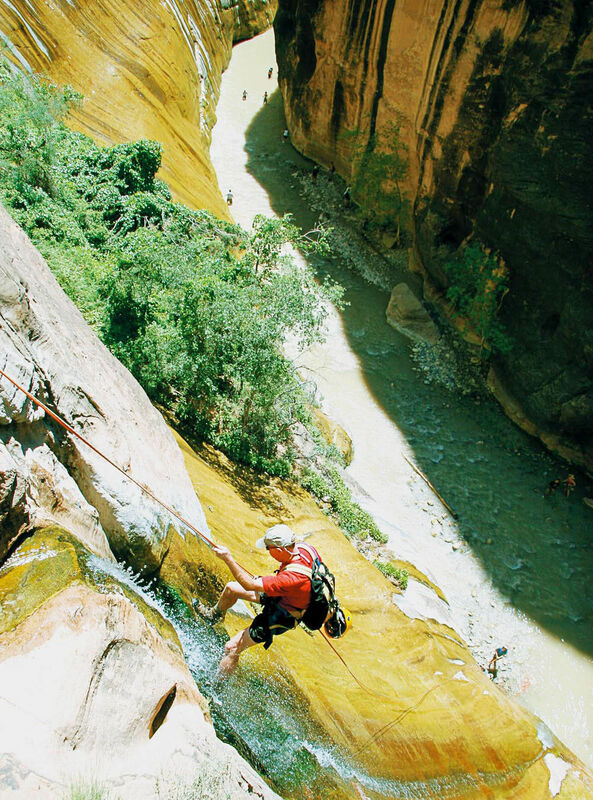 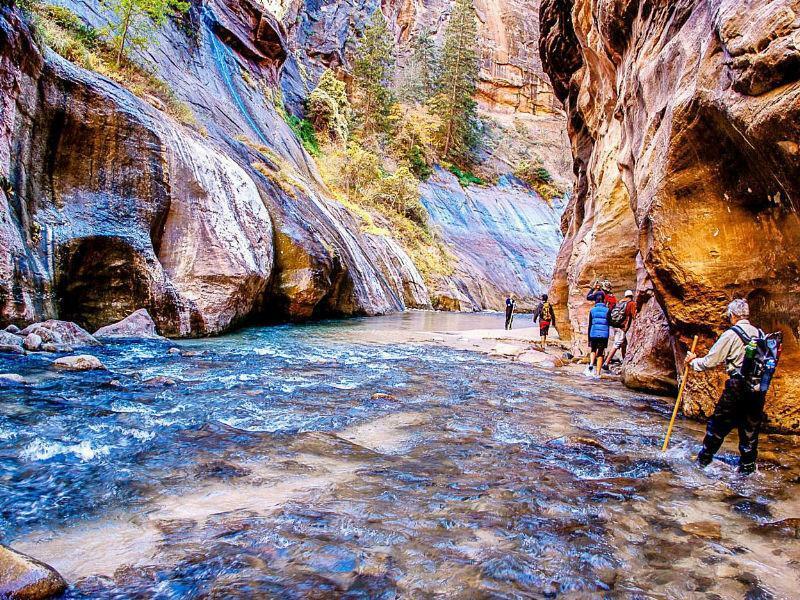 Along with basic hiking, canyoneering and climbing are the two most popular activities in Zion. 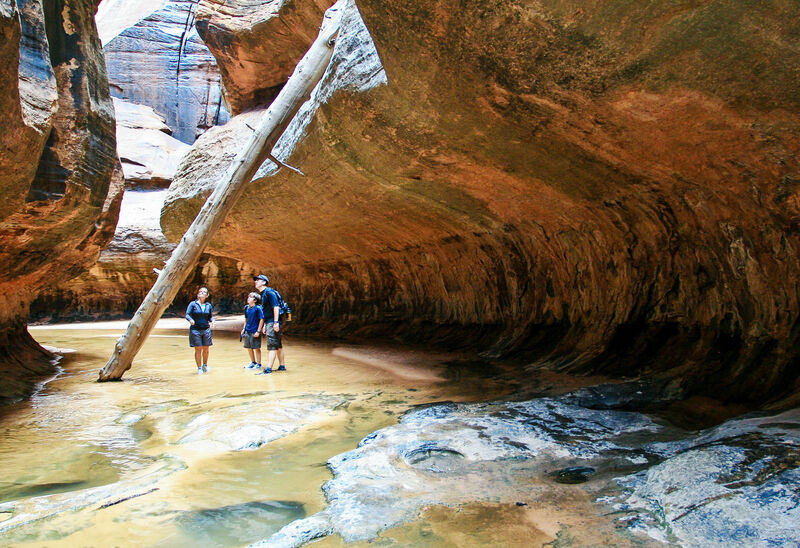 Canyoneering, whether technical or not, leaves permanent memories seared in the brain of beautifully crooked little slot canyons that seem navigable only by humans made of Silly Putty. 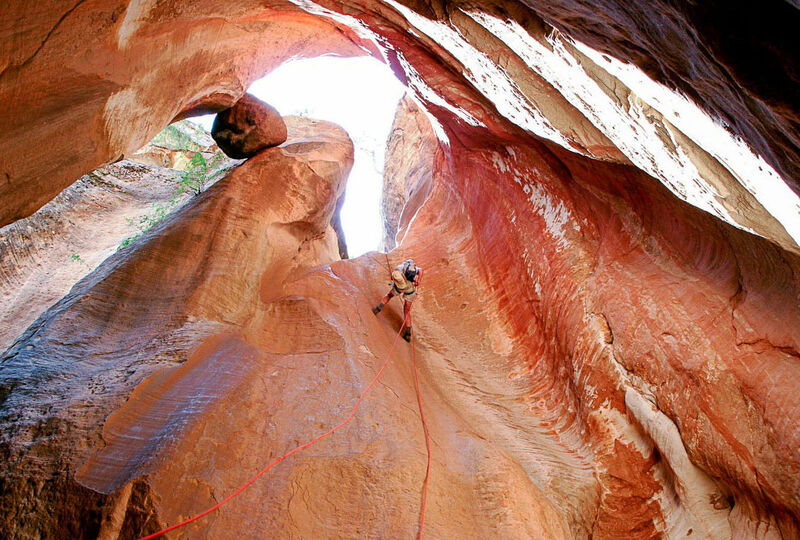 And when traveling the main canyon floor by shuttle or on foot, glance up at the 2,000-foot high sandstone walls soaring above to see if you can spot small, dark dots clinging to them. 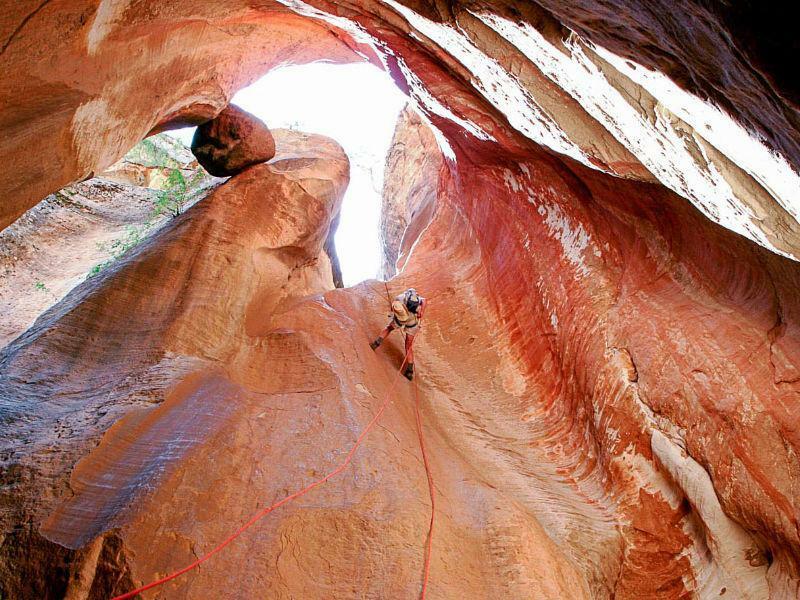 Big wall climbers consider Zion a Mecca of sorts, and they can usually be glimpsed spring through fall. 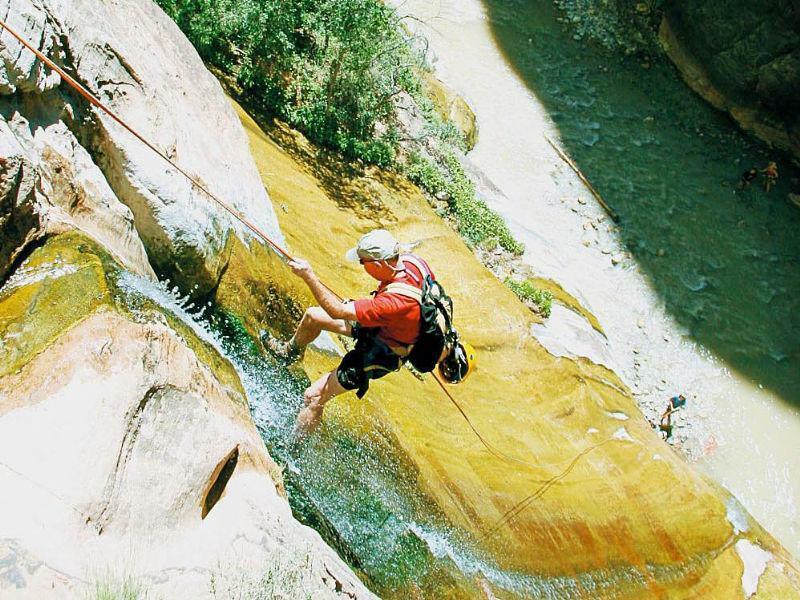 Several of the area's excellent guiding services will take raw beginners on successful canyoneering or climbing (or both) outings through some of the most picturesque routes just outside park boundaries.